Zalgiris has one more injury to face ahead of the game vs. Buducnost, that of Nate Wolters’. In a recent interview with 24sek.lt, Zalgiris head coach Sarunas Jasikevicius revealed that his team will lack point guard Nate Wolters for the upcoming 2 to 3 weeks. 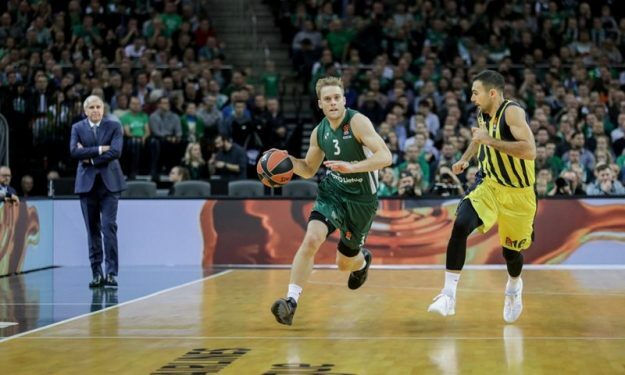 Per the coach, Wolters played with a groin injury in the Lithuanian Cup final this past week and will need a few weeks of rest before he can join the team again. Brandon Davies, who also suffered from an injury is expected to return soon, as Jasikevicius tells: “He is in a good condition, three days of hard workout have helped him”.